How can I set up Lycamobile to automatically top-up my account once my balance gets too low? After completing one successful top-up with your credit or debit card, you have the option to activate Auto Top-up through My Lycamobile. You set this service to automatically top-up a predetermined value each time the balance drops below a value set by you. You can also control the frequency and value of the top-up. Alternatively, you can also change your address by emailing cs@lycamobile.se with your full name, date of birth, Lycamobile number and a copy of your utility bill showing the new address. Our website is best enjoyed using Internet Explorer or Google Chrome. Please avoid using other web browsers like Firefox or Opera. If the problem still persists, please contact Customer Services by calling 3332 from your Lycamobile. You can top-up using a debit or credit card online; when the card is registered you can top-up over the phone by calling us from your Lycamobile. If the SIM is damaged, please call Customer Services on 3332 where we will provide you with a brand new activated Lycamobile SIM and PUK number and help you transfer your old number to your new SIM within 24 hours. The network coverage is heavily dependent on location and our network partners. Please keep trying and if the problem persists, contact Customer Services on 3332 from your Lycamobile. Please restart your handset and select the network manually, you can choose Lycamobile or Telenor. Depending on your handset model, the settings will vary. For most phones you will automatically receive the settings which you will have to save for it to work. You can manually choose the settings for your specific handset model by visiting our Mobile Web Settings page. Alternatively you can contact Customer Services on3332 from Lycamobile sim card. No, usually we do not support data access when in roaming. Please ensure that mobile data and data roaming are on and also check the manual settings by visiting our website . Please ensure that you have enough data allowance or sufficient balance available on your phone. You can always find out the exact leftover allowance on your Lycamobile account by dialling *137# and then pressing call. If the problem persists, please contact our friendly Customer Services team on 3332 from any Lycamobile. Yes, you can use VoIP Services on your Lycamobile. We are sorry that you have chosen to leave us and would like to know why. Please contact Customer Services on 3332 from your Lycamobile sim card where we would like to hear your feedback or concerns. If you would still like to leave us, you can contact the service provider and place a request with them to transfer your number. We will be able to transfer your bundle from the old SIM, however the bundle in the new SIM will be deactivated after SIM transfer. At the moment we don’t have the option to transfer the balance from one account to another; however you will be able to transfer the balance along with the mobile number and any active bundle as part of a SIM transfer. For more details please contact Customer Services on 3332 from your Lycamobile. Yes, we offer some of the best rates to call internationally and are one of the few service providers to give unlimited 4G data. As the world’s largest international MVNO, we operate in 20 countries around the world and this means you can always be in touch with your family and friends without breaking the bank. Your port-in request will be completed in 7 – 10 business days after receiving the complete number porting form. Please note that this timeline is also dependent on your current operator and could therefore be extended. 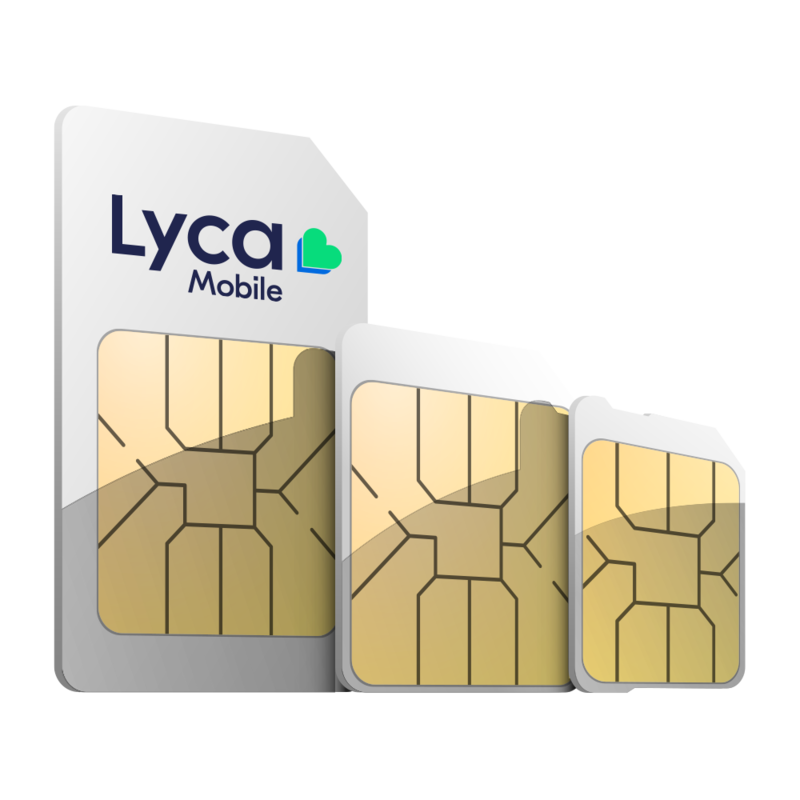 Can I top-up my Lycamobile SIM card before I complete the port-in procedure? Yes, you can top-up your Lycamobile SIM card and the credit will be available even after the port-in is completed. You can receive a new FREE SIM card by ordering it online here or you can get a SIM card at any of our retail outlets. Download our porting form from the website. Send a picture of the completed form to cs@lycamobile.se or you can send it via post to the address in Stockholm as written on the form. Please note that you also require some details from your current operator. If you need more help kindly contact customer service on 3332 (if you are calling from a Lycamobile) or 0852054977 (if you are calling with another service operator). You can also visit https://www.lycamobile.se/se/transferyournumber to learn more. Please send an email to cs@lycamobile.se with the required details such as IMEI number and Handset make/model, along with a document that verifies your identity. After verification has been completed, we will provide you with proof of usage which you can use for claiming your insurance. Please contact Customer Services on 3332 (if calling from a Lycamobile number) or 0852054977 (if calling from any other number) with your SIM card details and your card will be blocked. Please contact Customer Services on 3332 from any Lycamobile number or call 0852054977 from any other number as quickly as possible and one of our advisors will help you. We don’t have the option to get your contacts back, however if you are a registered customer you may login to your My Lycamobile account and check your dialled numbers. For more details please contact Customer Services on 3332 (if calling from a Lycamobile) or 0852054977 (if calling from any other number). Once you have the new SIM card, please call Customer Services on 3332 (if calling from a Lycamobile) or 0852054977 (if calling from any other number) with your PUK number and we will help in transferring your old number to your new SIM within 24 hours. To ensure that we offer the most competitive bundles to our customers, we update our rates as often as possible. For the most up to date information on our rates and bundles, please visit our website or call Customer Services on 3332 from your Lycamobile. When activating a bundle, there is the option for it to be automatically renewed. Please uncheck the box to disable Auto-renew. Please note that the Auto-renewal option is available for your benefit as it saves you the trouble of remembering to top-up your account. However, you do also have the option to cancel Auto-renewal by dialling *190# at least 24 hours before the bundle expiry date. To ensure that we offer the most competitive bundles to our customers, we update our rates as often as possible; for the most up to date information on our rates and bundles, please visit our website. Alternatively, you can also call Customer Services on 3332 from your Lycamobile. We do not have the option to cancel any bundle once activated; however depending on the bundle and your usage of it, we will try our best to assist you. For more details please contact Customer Services on 3332 from your Lycamobile. Can minutes be carried forward to the next month if they're not used? Will I get a confirmation message after a bundle is activated? Yes, you will get a message confirming your bundle activation. Please only start using the bundle after you receive the text. If you attempt to use your bundle before receiving the confirmation text you may be charged under standard tariffs. If you did not receive a confirmation message, you can always check your bundle allowance by dialing *137# from your Lycamobile or simply call 3332 from your Lycamobile to speak to Customer Services. Please remember that you can always dial *137# to check your bundle balance and allowance details on your Lycamobile account. <br /> How do I activate a national bundle on my Lycamobile? Please visit our Bundles page where you will find the specific activation code for the bundle that you are interested in. Alternatively you can always call Customer Services on 3332 from your Lycamobile. While it is not mandatory to register your details, we would strongly recommend you do. Registering your number opens up many additional facilities including the ability to manage your Lycamobile account online, the setting up of Auto top-up,collecting itemized bill copies, changing or updating personal information and more. You can register your SIM card on . Please remember to have your PUK number handy. No, you must register before you top-up to be eligible for the 15Kr FREE credit. Once you register your SIM you need to successfully top-up once and contact Customer service and we will add extra credit on your sim card. No. At the moment we only offer Pay As You Go services, however we do have various offers. See some of our unbeatably low-cost bundles here. Your Lycamobile SIM is set up to let you know when your balance gets below a set level. That is why you may receive this error message. However once you disconnect the first attempt and try again, the call will go through – as long as there is enough credit. If the problem persists, please call Customer Services on 3332 from any Lycamobile number. If the problem continues, please contact Customer Services on 3332 from your Lycamobile. To get your itemized billing copy, Please contact Customer Services on 3332 from your Lycamobile. Please note that you need to be a registered customer to get the itemized bill copy. To check your billing info and to manage your Lycamobile account, please register your SIM online at . Once you have completed the set up, you will get a case sensitive password which will allow you to gain access to online account management on our website. You can always check your balance by dialling *102# (or 95#) from your handset. Alternatively, you can call our Automated Voice Response on 3333 (or 94#) from your Lycamobile phone. You can check our unbeatably low rates from our website here. Alternatively, you can dial *108* followed by the phone number you wish to call with its country code and then # from your mobile. E.g. *108*0040377881276# (number is Lycamobile Customer Services). Firstly, please make sure you have enough credit to send a text. If you still can’t send or receive texts, please check the Message Centre Number (MCN) in your SMS settings – it should be +46734999990 for Lycamobile Sweden. If you see a different number, enter +46734999990, turn your handset off and on and then retry sending any unsent texts. If the problem remains please contact Customer Services. Your Lycamobile voicemail service has been automatically activated. To access your voicemail from your Lycamobile in sweden, dial 3331 (or 91#). Calls to access the voicemail are absolutely free. If you do not make any calls or SMS within a 3 month period your credit will be frozen. If your credit has been frozen you have one month in which you need to top up again, in which case your old credit will be reinstated. If you do not top up within this period your number will be frozen permanently and you will not be able to use your SIM. No. Unfortunately we do not offer premium texts or premium calling as part of our product offering. Your handset needs to be compatible with internationally recognised GSM standards, adopted by all the major handset manufacturers. There are no other restrictions on the type of handset you can use with Lycamobile. Please call our Customer Services team on 0852054977 if you are unsure about your handset. For example, if you were calling Romania from Sweden, you would dial 0040377 881276 (example is Lycamobile Customer Services). Once you’ ve inserted your new Lycamobile SIM, you can view your number by dialling *132# (or 105#). My Lycamobile is a way of monitoring your calls and texts online. Join today to gain access to lots of useful tools.plus get 15 FREE Kr too. If not, please call Customer Services on 0852054977 and our friendly team will answer your call. To deactivate your Lycamobile voicemail service, simply dial *186#. 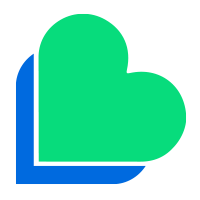 You can order a Lycamobile SIM for free here. Top-up vouchers can be purchased from various locations as well as online top up can be done through our website. To find your nearest location, click here. Additionally, if your mobile phone screen shows any of the following when you first put your Lycamobile SIM into your phone: ‘blocked’, ‘barred’, ‘incorrect SIM’ or ‘SP lock’, your mobile may be locked to another network. There are a number of ways to unlock your phone – just call our friendly Customer Services team on 0852054977 for expert advice. Normally we will keep your number for 120 days if you do not use our service.